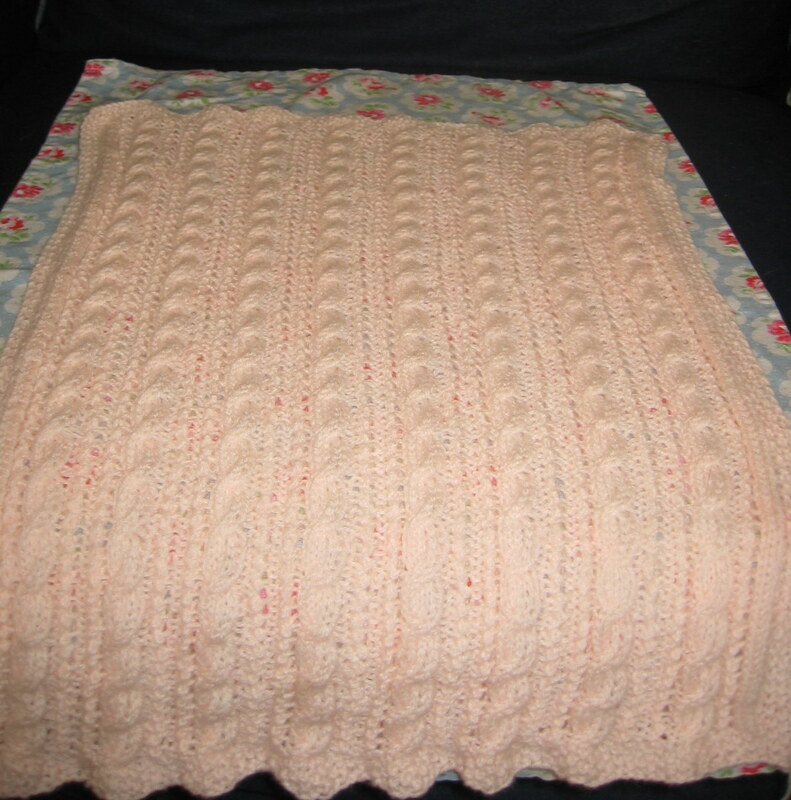 Well here it is, my baby blanket pattern number one (I don’t have a name for it yet – suggestions very welcome!). Now this picture is not the best, I know (it’s the colour of the wool) but I do like this pattern. You’ll just have to trust me! This pattern is designed to be a lot smaller than a normal blanket, specifically so that it can fit easily in a pram or buggy. Length can be adjusted. I’ve used DK wool and 4mm needles. CB4 – slip the first 2 sts onto a double pointed needle, K next 2 sts then K the 2 sts on the double pointed needle. This forms the Cable. T2R – K into front of 2nd st, then K into front of 1st st, slip 2 sts onto the right needle together. These rows form the main body of the blanket. Repeat these rows 20 more times (or 2cms from your desired length). Repeat the 4 rows of the Border.